It’s no secret that the many education reforms across the nation have led to a not so successful education system. Reforms such as No Child Left Behind, Race to the Top, and Common Core all measure success through student and school performances on standardized tests. These initiatives have not done much to improve education for youth and worsened the existing inequities in school. Public school or rather public education, because of these reforms, focus solely on test scores leading to narrow learning and discipline. These polices completely overlook school culture and value-based learning, both essential in a student’s education. So the question now is, how can education reforms be successful in that they provide the utmost education for the nation’s students? Implementing Human Rights Education (HRE) to our public schooling reforms, might just solve one of our leading issues in the United States: education. Human Rights Education might help our education system “resocialize students academically and equip them with the tools to succeed in school and in life.” HRE engages students in their own learning, but the attention to process is as important for the learning and inculcation of human rights values. Prep is a school in New York City that implemented HRE into its curriculum. The school excelled in graduation and acceptance rate. The research collected by surveys, observation, and interviews led to the conclusion that most students believed the school created a humane environment in which a culture of respect and tolerance. Human rights framework educates by teaching essential academic knowledge and skills, creating a positive school environment, supporting the emotional and behavioral development of students, as well as encouraging students to participate in developing the school policies that impact their education. Human rights education calls attention to the school culture, policies, and practices related to human rights values. “All members of a given community understand, value and protect human rights, where the values of equality, dignity, respect, non-discrimination and participation anchor policies and processes within the community.” Human rights education helps the students that are most marginalized by the inequities and injustices of American schooling. Though this framework of human rights education seems ideal, policy makers are still focusing on testing and discipline. To integrate human rights education into our education system, we must first start by implementing them into our policies. If policy makers are aware of the framework of human rights education, we might just improve our education system. But in implement HRE, it has to fit best to the demographics as well as the already established culture of the school. Drastic changes to the curriculum, might lead to an even greater disaster like the No Child Left Behind reform. 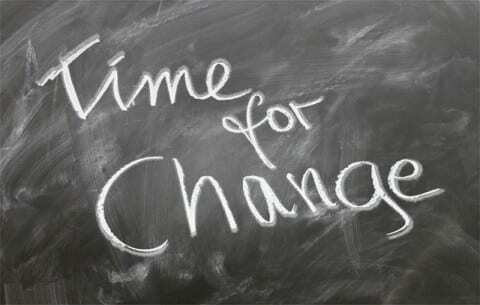 It begins with changes in the administration and then slowly changing the culture of the school. The shift of importance in test scores to the actual education as well as respect for the student can lead to significant changes in a student’s attitude towards school. Prep is made up of “at risk” youth yet, they excel in graduation rates as well as acceptance rates in college. Though HRE seems like a stretch, it just might improve America’s education system. American Education Reform by Patricia is licensed under a Creative Commons Attribution-ShareAlike 4.0 International License.